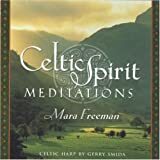 In this beautiful treasury of sacred wisdom, Mara Freeman shares the rich legacy of the Celts -- the festivals, gods and goddesses, saints, faeries, music, poetry, and storytelling that anchor this magical tradition. Discover myths, rituals, recipes, and crafts for every month of theyear. Honor Saint Brigit with a prayer in February, or ensure a merry start to May with a bowl of frothy syllabub. Come together with friends and neighbors to celebrate community in the high days of August, then learn to weave a solstice wreath in snowy December. 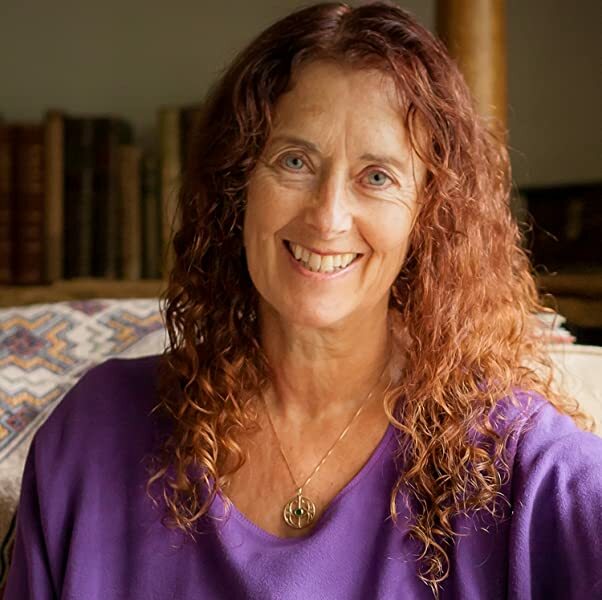 Traditional blessings, ancient lore, and guided meditations inspire you to reconnect with the rhythms of the natural world, and view the sacred as an integral part of every day. Rediscover the wisdom and healing power of nature, and cultivate and honor your soul as you would the earth. Let the spirit of the ancient Celts enchant you in every season, year after year. 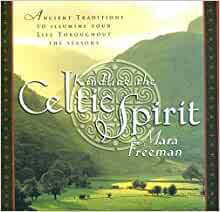 In this beautiful book, renowned Celtic authority and gifted storyteller Mara Freeman shares the richness of the Celts - the festivals, gods and goddesses, saints, faeries, music, poetry and storytelling that anchor this magical tradition. Lovers of all things Celtic will discover stories, rituals, recipes and crafts for every month of the year. Traditional blessings, ancient lore and guided meditations inspire readers to re-connect with the rhythms of the natural world, view the sacred as an integral part of every day, hone their intuition and give free rein to the imagination. With Kindling the Celtic Spirit, they will rediscover the wisdom and healing power of nature, cultivate and honour the soul as if it were the earth and allow the charm of ancient Celtic spirituality to enchant, every season, year after year. 5.0 out of 5 stars5 star service! Wonderful book. Arrived on time and in perfect condition. Can't recommend it too highly. There is one chapter for each month of the year incorporating among other things history, customs, recipes and poetry. 5.0 out of 5 starsElegant, Strong, and Graceful. This book will truly Kindle that old spark of the Celtic Spirit, for it never dies. Remember and be immersed into old Lore, customs, crafts, and recipes. Enjoy the season at hand with the extra richness of what Mara Freeman offers in her amazing book. This wonderfully researched, thought-out and laid-out book is seasoned with an abundance of Celtic lore. The authors knowledge and apparent love of all thing Celtic is felt on every page. The book is divided into twelve chapters, one covering each month. And each chapter has peppered throughout an array of Celtic history, poetry, ritual, recipes, blessings, songs, goddess and god stories, myth, bestiaries, crafts and much more. This compact book has a very reader-friendly layout and includes wonderful line-art through. The resource section is nine pages long and covers everything from Irish genealogy to Celtic music. Kindling The Celtic Spirit would make a wonderful gift for anybody who cherishes Irish/Celtic tradition or as a book to keep beside ones bed, to read before sleeps so that one may drift off and enter a magical time and place where faeries played in sacred groves, bards sang of courageous deeds, and the Tuatha De Danann lived and prospered. I'm a Celtic Reconstructionist (for more on that see imbas.org). This book is full of good information, though I do not like the way she puts the sun holy days in prominance (not something the old Celts did.) But she does mention Sam & Gam energies of the year (basically light and dark) which is good. What I like most is the way she uses poetry and her choices of poetry. Most books on Celtic spirit tend to use poetry that doesn't flow or connect to my heart. Most of her choices, or choices of translations, are wonderful. I don't like the way she collects all her information (animal lore, myths, seasonal crafts ect) under a particular month ONLY because it's hard to reference later. Her uses of stories are also done well. She choses good stories to tell that illustrate the holy day and then tells them beautifully. Lovely book, arrived fast and in excellent condition. I am excited to learn about another facet of my life and it is very well written. Highly recommend it. This is an awesome book. I have purchased a couple copies one for myself and one for a family member so that they can understand what it means to me to be pagan.